The right time to get a puppy home has a very high impact on the puppy’s behaviour on the first day at her new home or the way she looks at humans. Let’s see how. mother and environment to control her body temperature. She has no control over body temperature at this age. She needs physical stimulation to urinate and defecate. Her mother licks her to get her to relieve herself. No sight or hearing, her senses are not yet developed, and are deficient in her senses of taste, smell and touch. She reacts to hot and cold, and to some extent to pain, and to the smell of her mother. Transition period (from 13 to 20 days old): The new born puppy’s eyes open at about 13 days, but can only see movement and objects from about 21 days. She will begin to crawl forward and backwards, and start walking in a wobbly fashion, a few days later. The first teeth appear at around 20 days, and she begins to bite and chew. Tail wagging also begins at this age, indicating that she is not reliant on sight or hearing, as this is still not fully developed. She begins to react to sound at about 20 days, and is startled by loud sounds, but cannot locate the source. This is a period of rapid physical changes. Over a period of a week, the puppy changes – she hears, walks, has bowel movements without stimulation, keeps warm by herself, etc. Awareness period (from 21 to 28 days old): This is the first week the pup is able to see and hear properly, this change comes so abruptly, over a period of 24 hours. Therefore the pup needs a 100 percent stable environment. Now she has the greatest need for her mother and a familiar environment. Moving the pups to a new location or weaning them during this period will psychologically scar the pups. The pup’s learning begins during this period. This is the time she learns what it is to be a dog. Canine socialisation period (from 21 to 49 days old): The pup now learns the species/specific behaviours that make her a dog. To reach her genetic potential, it is of utmost importance that the pup remains with her litter mates and mother throughout this period. She learns to practice body posture, facial expression, vocalising and the effects this has on her litter mates, mother and other dogs she comes into contact with. Puppies need to interact with other dogs, males and females, and not only the mother. She learns to bark and bite, and to be barked at and be bitten. She learns the real dog behaviour; chase games, greeting behaviour, fighting games, etc. This all teaches her the various body postures required to perform various actions, submissiveness, aggression, initiating play, etc. During this critical period the pup learns one of the most important lessons of her life, to accept discipline. Unfortunately, breeders think because the mother is now correcting the pup, she doesn’t want her anymore. This is incorrect. The mother will actually ‘set up’ the puppy, so she can discipline her. Personally, I think the seventh week of a pup’s life with her mother and litter mates is the most important. I have witnessed this, time and time again during my years in the dog world as an obedience instructor, that dogs removed from the litter before the last day of the seventh week, day 49, have a permanent scar. Human socialisation period (from 50 to 84 days): This is the best time to bring a puppy to her new home. I would say no later than seventy days. This is also the best time to (positively) introduce her to the things she is going to have to live with, like other animals, the vacuum cleaner, home noises, children, and men with beards and hats, etc she must not be frightened by them, so introduce them carefully, gently and positively. Everything she experiences now will have the greatest effect on her more than ever again in her life. Learning at this age is permanent. This is the best time to start positive, non-compulsive, basic obedience exercise, taking her physical abilities and limited attention span into account. Therefore, make 100 percent sure that if you take your puppy to puppy care classes, that the instructor is qualified and experienced in handling puppies, and their classes correctly. Fear impact period (8 to 11 weeks): Any traumatic, painful or frightening experience will have a more lasting impact on the pup, than if it had occurred at any other time in her life. It is the pup’s perception of the experience that counts, not that of the pet parent. Make the pup’s trips to the vet a pleasant one, ask your vet to oblige and make it a pleasant experience for her. Under no circumstances should elective surgery such as ear cropping, or hernia repairs, be undertaken at this time in the puppy’s life, unless it is life threatening. I hope everyone understands puppy development timeline that, eight weeks is the best time to get a pup home. But sadly in India, most breeders do not follow these norms and pups come leaving their mothers as early as 25 days. Making it even more important to understand ‘the critical periods of a dog’s life’! http://www.dogsandpupsmagazine.com/wp-content/uploads/2013/11/Untitled-4-copy1.jpg 234 349 Dogs and pups Magazine http://www.dogsandpupsmagazine.com/wp-content/uploads/2017/05/1254nal.jpg Dogs and pups Magazine2013-11-13 16:41:212014-02-28 23:36:09An insight into the stages of puppy development! The little nips, the evolving barks and the quick tail wags are all part of the new member being welcomed into your family. But how about a puppy shower? Let’s make the whole environment really conducive for the little member to come, enjoy and make merry. A pup deserves a warm welcome into your heavenly abode. So, here are a few tips which can truly make your shower an eventful success. Do the shower before the puppy comes: While you’re planning the shower, it’s necessary to make sure that you plan the whole event well in advance. You can invite dog-friendly people and their dogs for the party. In case you want to bring the dog home first and then throw the party, you will need to make the necessary arrangements accordingly (though, it would be best if you do so after a good 10-15 days so that the puppy settles down with his new surroundings). Puppy shower invitations: Let your creative juices flow and put some jazzy ideas to design cool puppy shower invitations. Let the invitees know what to expect in the shower party. You can even mention about the gifts you’re expecting and the kind of gifts the new family member would also fancy. Decide the menu: Plan enough food and treats for the invitees – both humans and canine friends. Take advice: Talk as much as you can. Share plenty of stories with your friends about their experiences with dogs and their canine friends. By doing so, not only do you get a chance to learn a lot about what to expect when the pup arrives, but also get to be a part of a great event. This will give you an inkling of what to do right and how to do it when you get the puppy home. Games to play: Ever played pin the donkey? Well, let’s get creative and change the theme to pin the dog. Though, when you’re playing this, don’t end up pinning a real dog. A poster would do nicely. You can try and involve your human friends in a game of words and crosswords. Include a lot of dog-related words in the crosswords to make the game all the more interesting and innovative. For your dogs, you can always include some dog races and fetch games so that your canine friends do not feel left out of the family spirit. Capture memories: Create as many memories as you can. Take photographs, record videos and make an excellent collection out of the whole event. Gifts for the pup: Your pup thrives on love and care, he does not want expensive gifts. Here’s what you can gift your pup. Puppy proof your house: Getting a pup into the house is just like bringing a newborn baby into the house. Protect all the sharp edges of tables, tie up the loose ends and simply dress up all the possible danger zones so that your new family member does not hurt himself unknowingly. Share your precious time with him: Your adorable little pup wants nothing more from you but a bit of your time and see how he blossoms into a mature, well loved dog. Consult your doctor for possible vaccinations: Make a list of all the possible vaccinations required and all the extra things you need to take care of to make sure he’s as healthy as a fiddle. Now, it’s time to experience the real thing – bring home your bundle of joy! 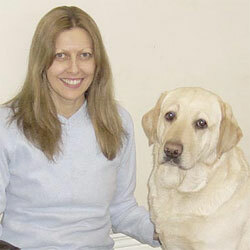 Choosing the best puppy for obedience work is not an easy task. There is no one who can guarantee that perfect puppy for the work she may be intended. Just as all human siblings are different with different abilities and coping levels, so are dogs. skills, her relationship with her pet parent, is setting yourself up for possible disappointment. It is best to allow the puppy to make her own choices in life and decide whether or not she is able to cope with obedience training. Sometimes the hardest thing to do with our dogs is not to do anything and just let our dogs be dogs and enjoy it. Our dogs prefer a good relationship with us where both owners and dogs can live in harmony together. If we want to understand exactly what a dog is going through when doing obedience training, try pretending to be the dog yourself. You don’t have to be on all fours to do this, just stand on your two feet with a partner. Both of you hold a different end of the lead each, start walking together. The one pretending to be the dog has to look at the human. You must continue to look at the human and stay exactly at their side without looking where you are going and without moving away. The human can move in different directions just as in obedience training. Can you keep this up for long without laughing, without losing place, without getting a sore neck, etc? Can you imagine how it must be for your dog to have to do this, often for long periods of time? How is your dog expected to cope if you find it hard to cope? Can you imagine the development of muscle on one side of your dog and not the other as she has to walk on your left, causing an unbalanced dog and the possibility of skeletal problems after excessive or long-term training? Can you imagine the pain your dog may be in after the training of having to keep her head turned to look at you over a prolonged period of time? If you cannot pretend to be the dog by keeping looking at your partner without laughing, how do you think your dog feels. Your laughing may only be displacement behaviour for you. You may not be coping so well or feeling uncomfortable, so you laugh. We all laugh because we feel silly doing it. What can your dog do to express herself? She cannot laugh and she is not allowed to do anything else because she is supposed to be under control. The dog also needs to express how she is feeling and this could come out in other behaviours such as lead biting or pulling, barking or lunging. This may not happen during training since it is in his best interest to behave in these times but it may happen directly afterwards. Stress creates many problems for dogs and often a stressed dog has a short life due to stress related illnesses.